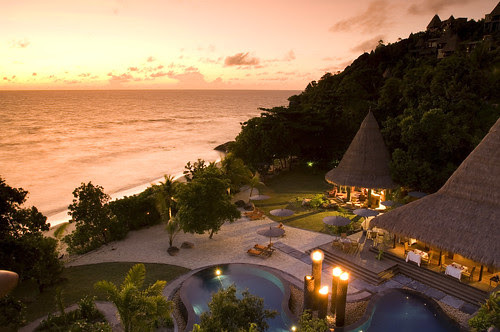 MAIA Luxury Resort & Spa in Mahé, Seychelles introduces the new “BEYOND All-Inclusive” concept beginning November 1, 2014. This new approach includes a myriad of services such as a dedicated butler, high-speed Wi-Fi, complimentary laundry service, all daily meals, soft drinks and premium alcoholic beverages as well as food a la carte on a “Whatever, Wherever, Whenever” basis. Additional activities introduced include morning Yoga or Qi Gong, non-motorized sports plus unlimited scuba diving. Located on 30 acres of award-winning gardens on the main island of Mahé, MAIA Luxury Resort & Spa features 30 private villas, all with 180-degree uninterrupted sea views. While staying at MAIA guests can choose between two villa categories, the “Ocean Panoramic” villas or the “MAIA Signature” villas. Designed by leading architect Bill Bensley, each villa offers guests the perfect escape while vacationing at MAIA. 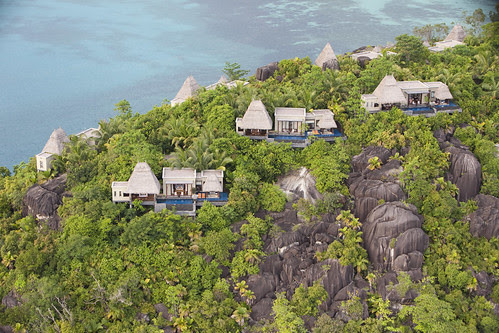 Dotting the hillside are the nineteen Ocean Panoramic villas, each offering guests exquisite views of MAIA’s lush gardens and the blue waters of the ocean below. Additionally, the eleven “MAIA Signature” villas are located closer to the shore and provide guests direct access to the surf and sand. Guests booking the “MAIA Signature” villa also enjoy additional inclusions like early check-in and late check-out, their choice of Champagne as well as in-villa offerings such as daily private yoga, one-time mani-pedi, and a specially prepared barbecue. NEW FOR 2013: Recently named as one of Long Island’s best brunch spots by USA Today Travel’s 10best.com, 75 Main has exciting changes sure to spice up the 2013 season. This summer, 75 Main Delray Executive Chef Mark Militello will be bringing his award-winning dishes to the Southampton eatery, adding a touch of South Florida to the East End. Locals and visitors can enjoy 75 Main even earlier, with breakfast and brunch now being served every day from 8:00am until 4:00pm. 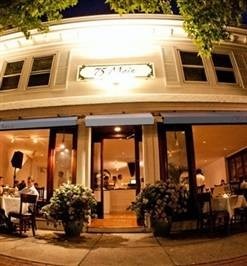 OVERVIEW: For the past 20 years, 75 Main has remained a Southampton staple and celebrity favorite, bringing both Italian and American cuisine to the East End. Owner, Zach Erdem has revamped this Hamptons hotspot, transforming the space into a year-round restaurant and lounge. Throughout the week, the post dinner crowd can take advantage of the various entertainment 75 Main offers, including well-known DJs, live bands and drink specials. 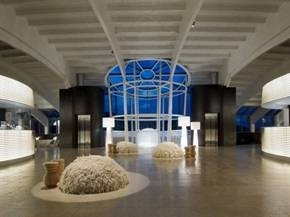 75 Main maintains the perfect balance of Hamptons style and New York nightlife. CUISINE: Chef Mark Militello will present his new menu, featuring a variety of impeccably flavored dishes including Grilled Lamb Chops, Halibut, Truffle Crumb Stuffed Chicken Breast & homemade pastas. While dining, guests can enjoy the restaurants extensive wine list, which showcases a collection of the finest Italian, French and Californian wines. 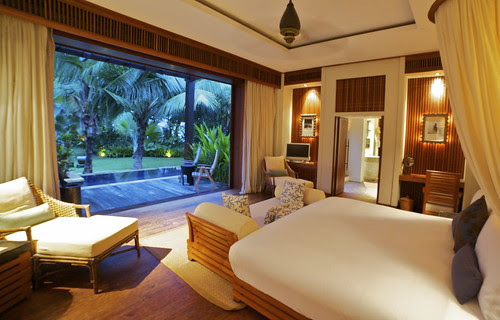 DÉCOR: With its classic yet chic design, 75 Main elegantly brings together traditional elements and contemporary décor. The restaurant evokes a relaxing atmosphere that can be felt throughout the year, with an outdoor patio, hardwood flooring, modern artwork by famed artists Chris Brown and photographer Raphael Mazzucco, in addition to a soothing, white color palette. CELEBRITY FANS: Leonardo DiCaprio, Kim Kardashian, Ryan Seacrest, Sarah Jessica Parker, Jonathan Cheban and Vice President of the United States Joseph “Joe” Biden, Jr. Copyright 2013 By Punchin International. All Rights Reserved. At coastal Maine’s Inn by the Sea, set on a mile-long stretch of sandy Crescent Beach, nothing says "Maine" more than lobster. The Inn, located on scenic Cape Elizabeth just minutes from Portland, has created the Twin Lobster Package, which includes a lobster tasting dinner and a hands-on experience in a lobster boat. Donning lobsterman’s overalls, guests set sail on the 37-foot Lucky Catch lobster boat into the heart of the calm waters of Casco Bay. Amidst the islands and the colonies of harbor seals, they get to haul lobster traps in the shadow of Maine’s most famous lighthouse, Portland Headlight. They’ll also learn about lobster habits, conservation efforts and the difference between hardshells, shedders, shorts, culls and keepers. The day ends with a return to Inn by the Sea for a lobster tasting menu for two from Chef Mitchell Kaldrovich at Sea Glass restaurant. This five-course dinner includes Chef Mitchell’s signature mini lobster roll, his poached lobster & gnocchi as well as grilled lobster risotto and much more. 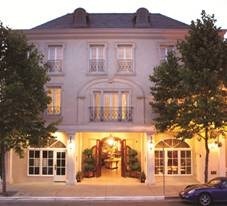 Hotel Les Mars is the finest destination for travelers who want to experience California wine country in lavish comfort. Resting among the hills of the Russian River Valley in Northern California, Hotel Les Mars evokes the charm of a romantic French maison retreat. The hotel, which is a member of the prestigious Relais & Châteaux that recognizes some of the world’s best hotels, boasts superior European-style service for both corporate and personal getaways. Opened by the Mars family in 2005, Hotel Les Mars provides elegant spa services from world-famous spa company Francis & Alexander, even in the comfort and privacy of each of its 16 elegantly decorated rooms. For more information on Hotel Les Mars, please visit www.hotellesmars.com. Rock Creek Cattle Company in Deer Lodge, Montana is nestled on 30,000 acres of diverse and gorgeous countryside including Rock Creek, an alpine lake, lush forests, rolling hills, an 18-hole golf course designed by golf course architect Tom Doak and 18 miles of rivers and streams. Ideally situated, Rock Creek Cattle Company features 22 luxurious accommodations from 12 one-bedroom cottages, five three-bedroom cabins, four four-bedroom cabins and one five-bedroom home. 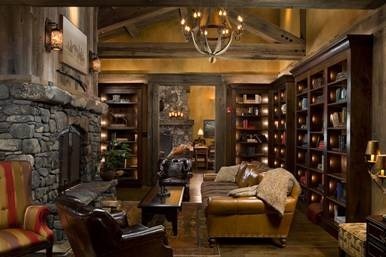 In addition, Rock Creek Cattle Company offers its members and guests state-of-the-art facilities including a restaurant with an outdoor terrace on the banks of Rock Creek, a private dining room, two bars, a library, an outdoor pool, hot tub, kids pool, fire pit and game barn, fitness center and massage rooms. Rock Creek Cattle Company provides members and guests an array of exciting activities including Golfing, Fly-Fishing, ATV Excursions, Horseback Riding, Kayaking, White Water Rafting, and Hunting. Rock Creek Cattle Company’s fabulous food, wine, accommodations, facilities, activities and service makes the private club the perfect destination for family vacations, weekend getaways and more. To learn more about Rock Creek Cattle Company, please visit www.rockcreekcattlecompany.com. Resting 20 miles from the charming city of Maceio on the eastern coast of Brazil, Kenoa Beach Spa and Resort is a private sanctuary of tranquility and balance where each guest’s experience is carefully handled to expand their journey and ensure their privacy. Kenoa Resort rests along miles of virgin Atlantic outback and the enchanting turquoise sea, a relaxing and wondrous escape where luxury is defined by its earth-given beauty. 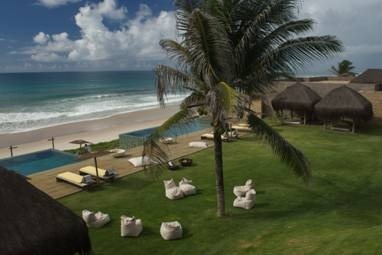 Kenoa Resort is a first wave eco-chic resort comprised of luxury suites and bungalows with private pools, and the Kaamo restaurant, under the supervision of the renowned Brazilian chef César Santos, provides excellent dining for discerning guests. 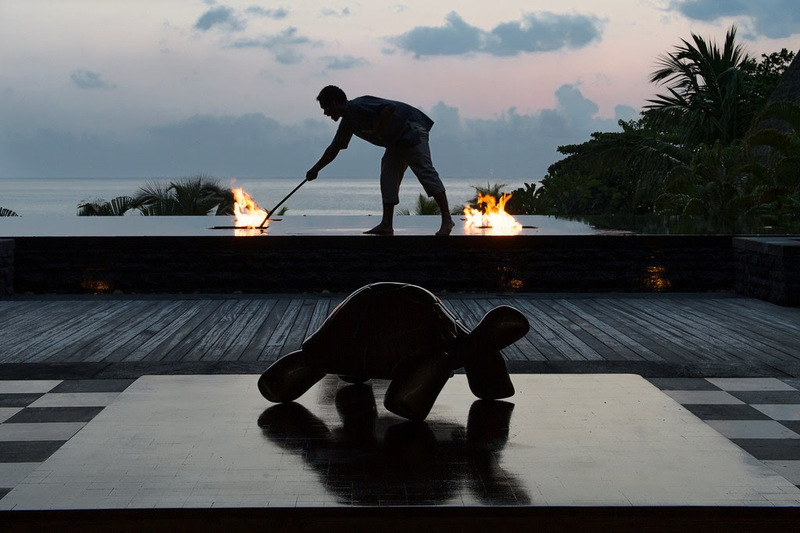 Expert service executed by impeccably trained attendants who deftly capture guests’ preferences and whims is one of the many ways the Kenoa Resort delivers a world-class hideaway experience for the traveler who wants only the absolute best. For more information please visit www.kenoaresort.com. 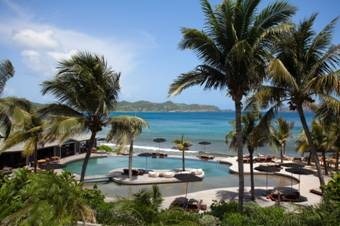 Hotel Christopher – St. Barth, F. W. I. One of the best locations in St. Barth, the recently renovated Hotel Christopher offers luxurious soon to be five-star accommodations and amenities and houses two remodeled restaurants, newly redesigned spacious rooms and the largest pool on the island overlooking the Caribbean Sea. A favorite destination for jet setters from America and Europe, Hotel Christopher is located at the secluded Pointe Milou on St. Barth–only a 10-minute flight from St. Maarten. The hotel features 42 rooms and suites comprised of Ocean Poolside, Ocean Garden, Ocean Classic and Ocean Deluxe rooms as well as the Ocean Junior Suite, Ocean Balcony Junior Suite, Ocean one-bedroom Suite and Aloes Suite. The hotel’s two restaurants, Taino and Mango, provide guests with perfect menus for breakfast, lunch and dinner. Spa treatments, windsurfing, deep-sea fishing, surfing and boat rentals are all available through Hotel Christopher’s concierge. For more information on the wonderful opportunities awaiting guests at Hotel Christopher, please visit www.hotelchristopher.com. 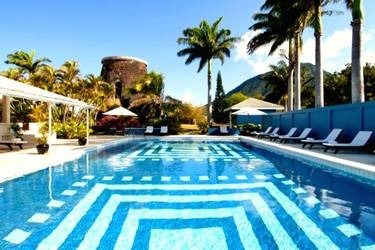 Set in a 60-acre estate 750 feet up in the hills of Nevis in the Caribbean, the Relais and Châteaux and AAA Four Diamond Montpelier Plantation offers sea-views from each of its 19 simple yet beautiful and elegant rooms where guests will find a perfect balance between historic plantation style and modern amenities. A private beach, mosaic swimming pool, tennis court, extensive wine cellar, and personable and discreet hotel service along with delightful dining are some of the many opportunities made available while staying at Montpelier Plantation. Open and airy, the hotel invites its visitors to effortlessly experience the beauty of both the nature of Nevis and the Plantation itself. Whether they want to relax and unwind with spa treatments or hike through the rainforest, Montpelier Plantation transports its guests to a place of utter tranquility. For more information on Montpelier Plantation, please visit www.montpeliernevis.com. The Relais and Châteaux Domaine de la Bretesche in Brittany, France transports guests into an elegant and distinguished suspension of old-world tranquility. Comfort combines with both traditional and contemporary styles in 32 luxurious rooms comprising the hotel that sits mere steps from La Baule. Adorned in fabulous fabrics and custom color schemes, each room is a serene spot for repose and relaxation. The warm, natural setting helps guests relax in the hotel’s spa, Cour Carré, offering a wonderful range of treatments imbued with authenticity and ceremony that all guests will appreciate. Domaine de la Bretesche offers its guests the fine cuisine of Le Montaigu, where Chef Ludovic Le Forestier creates gourmet surprises for even the most difficult of palates. 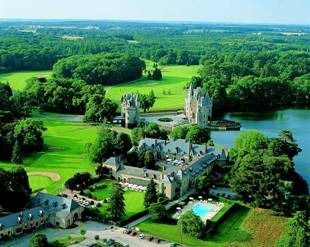 Sheltered by an ancient forest, the 18-hole Bretesche golf course is among the most beautiful of France, The course is majestically overlooked by the castle towers and ramparts and bordered by the most beautiful varieties of trees. A compact 9-hole course, designed similarly to the 18-hole course, welcomes amateurs and pros alike to practice at peace. For more information of Domaine de la Bretesche and to book a stay, please visit www.bretesche.fr. Located right along the main boulevard in the Southern Half of Paris, Hotel Bel Ami combines a comfortable and friendly atmosphere with a contemporary address. Only steps away from the Café de Flore and Les Deux Magots in the very heart of Paris’ St Germain des Prés district, Hotel Bel Ami renew the Avant Garde spirit of Parisian travel accommodations. The spacious, contemporary, trendy and relaxing atmosphere of the area is duplicated at Hotel Bel Ami—its pragmatic luxury, as well as its friendly and peaceful climate, makes it one of the most wonderful places to stay in Paris. The Bel-Ami Hotel’s 111 rooms, including two junior suites and four regular suites, give priority to a spirit of laid back but chic comfort. Guests can also enjoy fantastic food from Bel Ami Café, receive body and skin care for him and her at the Wellness Center by Payot, and socialize at Bel-Ami Bar’s intimate lounge and its warm tonalities. For more information on the hip Hotel Bel Ami, please visit www.hotel-bel-ami.com. 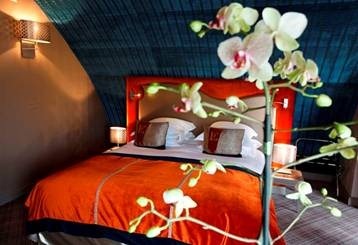 Hotel Edouard 7 is a premier couture hotel located in the heart of Paris in the central 2nd Arrondissement. Comprised of 70 rooms and suites throughout seven floors, Hotel Edouard 7’s lavish furnishing and luxe designs recall a traditional Paris in a modern era with contemporary amenities. Each room is entirely unique, elegant and intimate with custom carpets and lights, in addition to fantastic fabric and designs. Each of the Hotel’s suites were recently renovated, and all overlook the Opéra. Hotel Edouard 7 is the perfect luxury hotel, located within walking distance from many of Paris’s main attractions, including superb shopping, world-famous museums, world’s-best restaurants, renowned cabarets, and exquisite galleries housing extraordinary works of art. Guests at Hotel Edouard 7 can relax in a refined and elegant ambiance at Bar l’E7, or enjoy the talent of the French gastronomy scene with a menu changing throughout each season. Its excellent concierge is prepared to arrange any adventure for guests and answer to any requests they may have. For more information on Hotel Edouard 7, please visit www.edouard7hotel.com. A chic luxury resort with a golf course and wellness center located in the heart of Tuscany, Argentario Golf Resort and Spa lies in a protected Mediterranean oasis that offers a unique panorama of extraordinary Italian beauty. The impressive design of Argentario extends to every area of its facilities, including its 73 suites and world-class spa, Espace, as well as its meticulously planned golf course. Each suite at Argentario features a terrace with views of the golf course or Monte Argentario. With 18 championship holes and a driving range, the Argentario Golf Club occupies 190 acres and earned an environmental certification from BioAgriCert, the international certification body of organic productions based in Italy. The course offers a Club House and the Buvette pro shop, as well as the Blue Team Golf Academy, a prestigious golf school. The Dama Dama Restaurant at Argentario Resort offers Tuscan and Italian cuisine, with particular attention paid to the culinary traditions of the Maremma region that Argentario calls home. Argentario Resort’s beautiful aesthetic is illustrated on its panoramic terrace, in and around its spectacular swimming pool with solarium, and its three exquisite tennis courts. For more information on the Argentario Golf Resort and Spa in Tuscany and to book your trip, please visit www.argentariogolfresortspa.it. 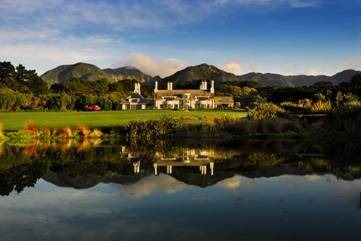 On a 5,500 acre haven located just a 40-minute drive from Martinsborough at the southern tip of New Zealand’s North Island along Palliser Bay, Wharekauhau Lodge and Country Estate makes any outdoor activity dream a reality. Wharekauhau boasts 15 comfortable, spacious and luxurious cottages and two additional guest homes, all with access to exclusive activities including hiking and mountain biking, a Wharekauhau sheep farm tour, a tour of the region’s wild coastal environment, the Cape Palliser Seal Colony and Lighthouse tour, as well as wine tours, jet boating, horseback riding, ATV adventure tours, clay target shooting, archery, and a luxury golf tour. Other activities include swimming with dolphins, whale watching, and walking tours of the immense estate with completely customizable routes for difficulty and timing. Wharekauhau was rewarded for Best Ambience and Design by Condé Nast Traveller magazine in 2011, and received the award for Best in the World from Condé Nast readers in 2008. For more information on Wharekauhau, room rates and availability, please visit www.wharekauhau.co.nz. Copyright 2012 By Punchin International. All Rights Reserved. Capturing safari experiences on camera has always been an integral part of the Sabi Sabi Private Game Reserve experience, and the new digital age has made it easier for everyone to try their hand at taking the perfect picture. While deep in South Africa’s bushveld, guests opt for the Sabi Sabi Photo Safari, a unique experience with a professional photographer who will guide you through the intricacies of getting the very best out of a camera for that once-in-a-lifetime wildlife picture. Prior to your arrival, the professional will be in touch to ascertain the level of your interest and expertise, as well as to get details on the equipment you have been using. He will then tailor your course, provide cameras and lenses if necessary and customize subjects such as a camera setup, photography in the field, working with wildlife and light sources. The photographic safari runs for one full day, beginning at lunchtime on the first day and ending before lunch the following day. These thrilling open Land Rover game drives allow exclusive up close encounters with Africa’s Big Five and hundreds of other species living in the bush. This is the perfect opportunity to get a clear night shot of the leopards that prowl at night or the eagle soaring through bright rays of sunshine. At the end of the safari, you and your instructor will review the images and you will discover the various methods and merits of post-processing. The photos you select will go home with you on a CD or flash drive. Sabi Sabi is an award winning private game reserve that offers world-class standards in luxury accommodation, exceptional close wildlife encounters, personal service and delicious cuisine. Located on the South-Western section of the Kruger National Park, Sabi Sabi is described as a classic bush experience with its four five-star lodges. The rate $588 per guest photographer per 24 hours, and includes the services of a professional photographer for up to a maximum of six guests on a photographic vehicle. These Professional Photographic Safaris are available on request and must be pre-booked. Additional equipment can also be rented, with rates available on request. And, partners of registered participants may accompany the photographic safaris, but will not be provided with photographic equipment. Imagine traveling to Ireland in Business Class round-trip on Aer Lingus, staying at five-star hotels across the country, and enjoying private chauffeur-driven touring between cities — all for less than $3,000 per person round-trip for a six-night getaway. This dream trip is now a reality for travelers who book the new "Ultimate Luxury Package" from the Aer Lingus Vacation Store. A group of four travelers will experience true Irish hospitality with incredible elegance and unparalleled luxury throughout this six-night vacation which includes stays in four of Ireland’s most exclusive properties where many of the world’s famous actors, athletes, politicians, and royalty have stayed: Four Seasons in Dublin, Glenlo Abbey in Galway, Muckross Park Hotel in Killarney, and The Ritz-Carlton Powerscourt. And to make it even more exclusive, the private driver lets travelers see it all in style and comfort! Enjoy the vast collection of old masters at Schloss Fuschl. Schloss Fuschl Resort & Spa just outside of Salzburg is a true artistic sensation. Its motto “Living with Old Masters” comes alive with an own exclusive art collection of about 170 works from the 17th to 19th century, which enjoys museum standard quality and a global reputation. New York Guests at The New York Palace will taste the sweetness of the spring season with the Gold Chocolate Package, celebrating Easter and the 60th birthday of the iconicLINDT GOLD BUNNY. The month-long initiative begins March 24 to coincide with the start of spring, and features premium Lindt chocolate experiences, allowing guests to indulge during their stay. A themed hotel package, a custom-created Gold Chocolate Weekend Brunch featuring the LINDT GOLD BUNNY in restaurant Istana, and giant LINDT GOLD BUNNY figures greeting guests from the hotel courtyard all help to usher in the Easter season and spring weather. The Palace’s Gold Chocolate package gives guests yet another reason to revel in New York’s warm spring weather and Easter celebrations. The package is comprised of luxury accommodations and a myriad of ways to enjoy premium Lindt chocolate, including a $100 daily food and beverage credit, which can be used towards the Gold Chocolate Weekend Brunch, and an iconic LINDT GOLD BUNNY and special welcome amenity.